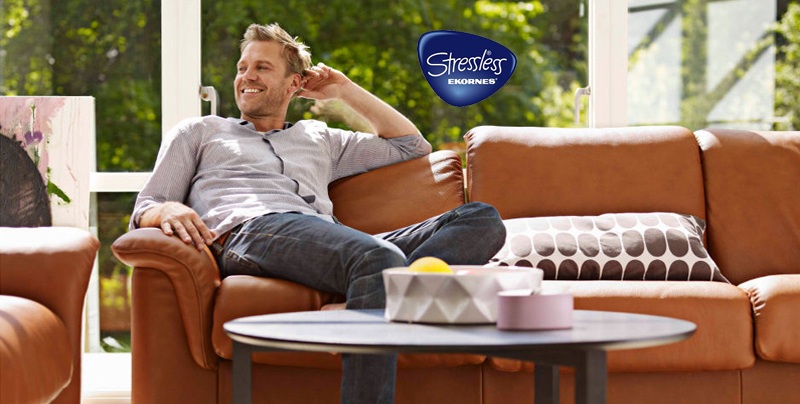 Ekornes® utilizes the latest technology to ensure that when you sit in a Stressless® chair or sofa you don't want to get up. Learn all about "The Plus System", "Adjustable Headrest", the "Stressless® knob" and the "360 revolution", and find out how they make Stressless® the most comfortable chairs and sofas in the world. 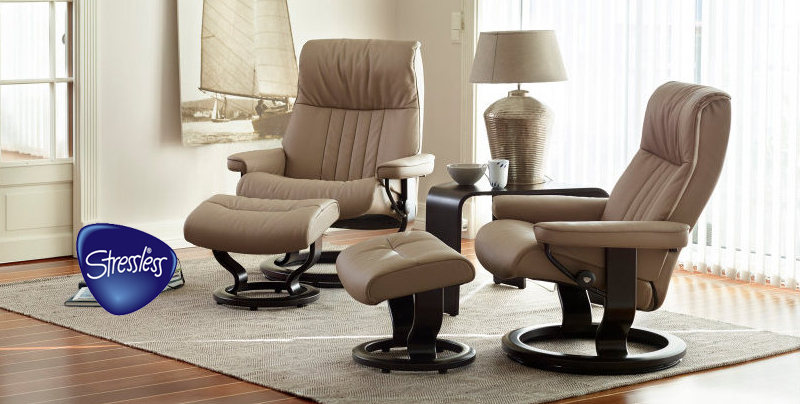 The Ekornes® Adjustable Headrest is available in most models of our chairs. As you lean your chair backwards or forwards you can see how it adjusts to ensure that your head and neck always has the perfect support. It is a technology that no one else has perfected and one that could make all the difference. Come to the Comfort Studio to see how it works. 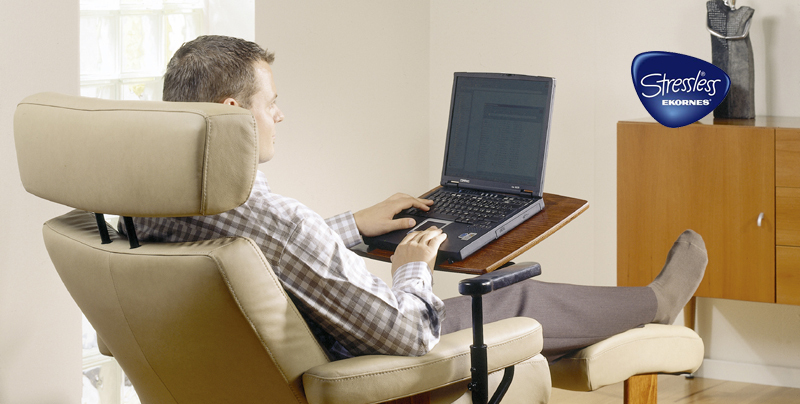 The Stressless® chairs also utilize the patented Plus™ System. 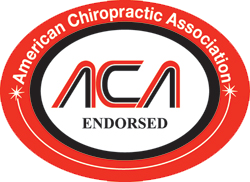 This breakthrough automatically ensures the correct support for your neck and back in all positions. It alone can increase your comfort levels dramatically. The technology is really so simple and when you come into the Comfort Studio we'll explain why it will change the way you relax forever! 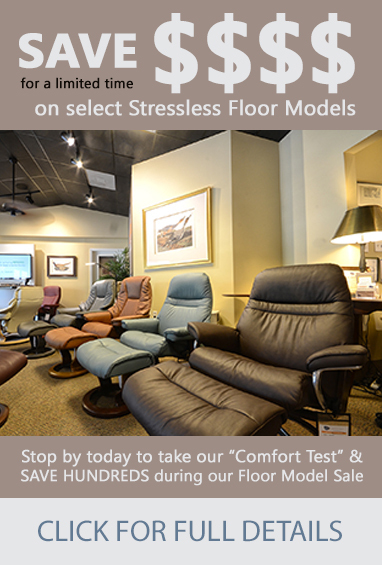 Ekornes® offers the Stressless® in as many as 3 different sizes to make sure you can get the perfect fit. Goldilocks had three sizes to choose from....why not you. Come into the Comfort Studio, try them on for size and see which one fits you best! We'll take you through our "Comfort Test" to make sure you get just the right one. The perfect chair is waiting for you. There are 4 different types of leather to choose from for your new Stressless® chair or sofa, Batick, Classic, Paloma and Royalin 2000. Then choose from as many as 21 different colors to make sure you get just the hue for you! Come to the Comfort Studio and see these beautiful, vibrant leathers for yourself. It's true that nothing says luxury like leather! 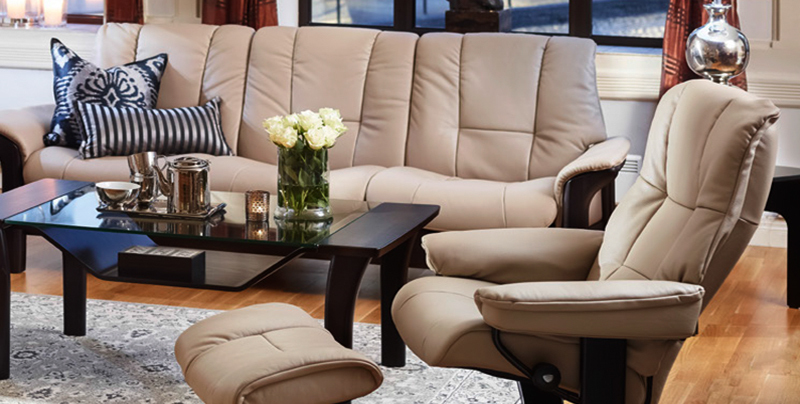 Ekornes® even offers 7 different styles of wood for the base and arms of your chair or sofa. They really have thought of everything to make this the best furniture you ever purchase, right down to the ability to match wood grain with existing pieces in your home. Come to the Comfort Studio and you can see how your favorite color and wood grain look together. 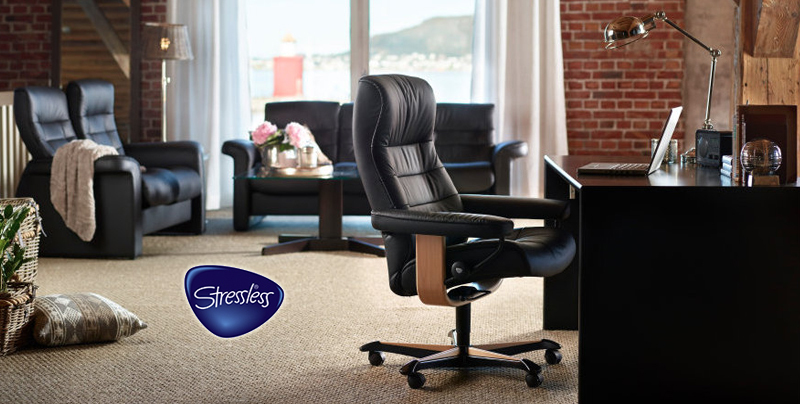 Stressless has built the world’s finest recliners since 1971. CLICK HERE to learn more. 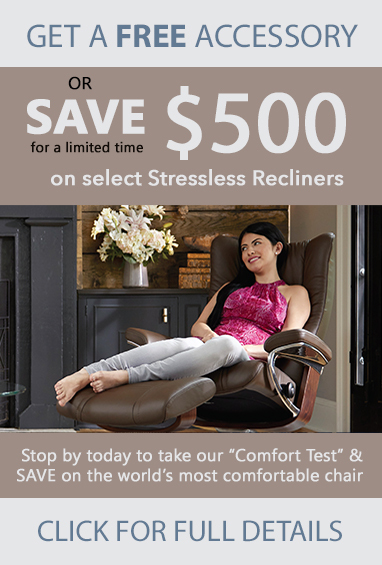 The Stressless sofas are the most comfortable sofas in the world. CLICK HERE to learn more. Stressless Office is new collection of modern office leather seating. CLICK to learn more. Our accessories transform your room into an opulent, relaxed space.. CLICK to learn more.